This is a summer review packet for 5th grade. There are 100 pages of fun activities!! 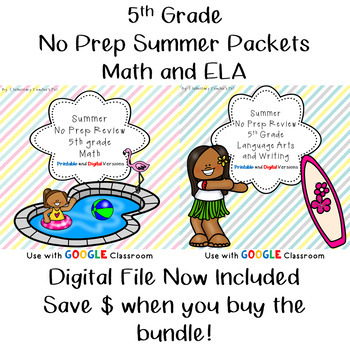 Using this packet will help prevent the "summer slide". It has many different activities for math. This is geared toward the 5th grade, but it can be used for incoming 4th graders or struggling 6th graders. You could also use this is your classroom during the last couple weeks of school. This has many engaging activities to get you and the students through the school year. All answer keys are included! !